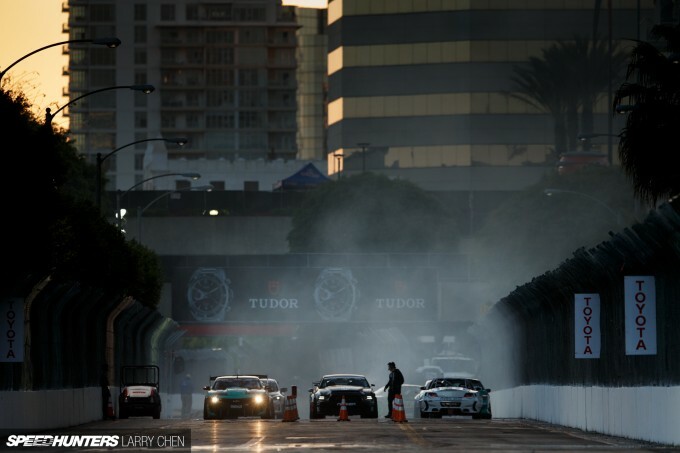 I don’t care how beautiful a race track is – nothing compares to watching racing on a street course. These are cars after all, and they’re meant to be on the street. With all the colors and patterns on their run-off areas, newer racing facilities like Circuit Of The Americas and Yas Marina look amazing. But there is just no soul with those circuits. 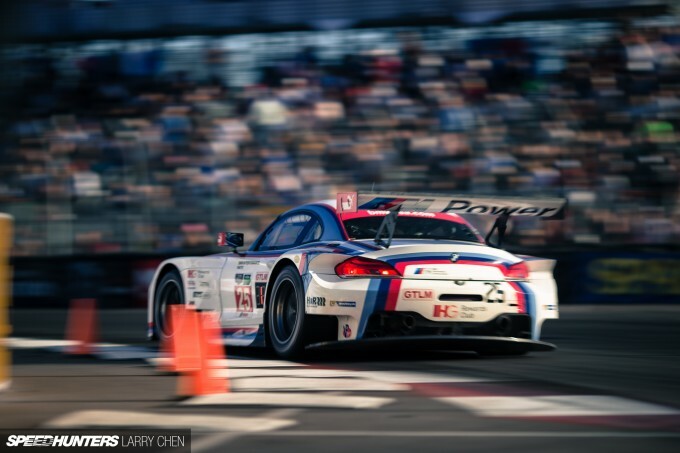 Racers can push harder and harder, and if they make a mistake there is plenty of leeway. 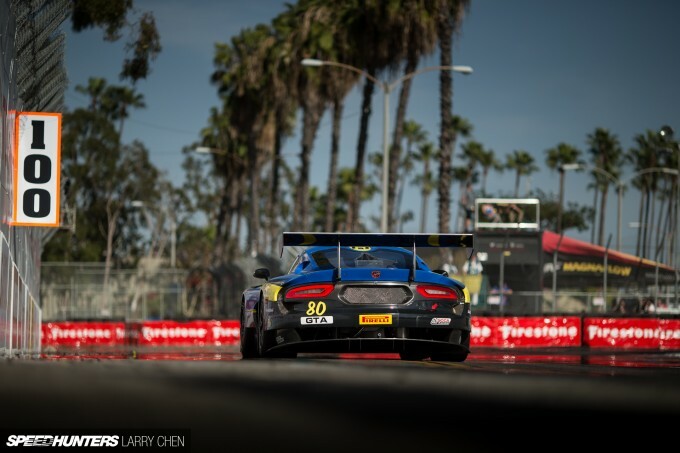 But on a street course like the Toyota Long Beach Grand Prix Circuit, the margin of error is minimal at best. The difference between a split second too early on throttle or too late on the brakes can spell disaster. 2015 marked my twelfth year shooting at the Grand Prix, and as I’ve mentioned in my previous posts, I consider this my home race. 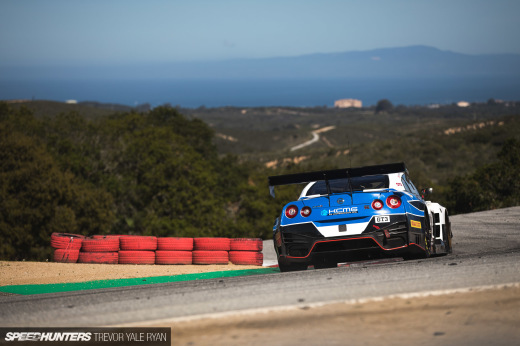 And after all that time, this year I was ecstatic to have the track completely to myself to shoot the Always Evolving Nissan R35 GT3. Keep an eye out for the full feature soon. You just can’t beat the views from downtown Long Beach. 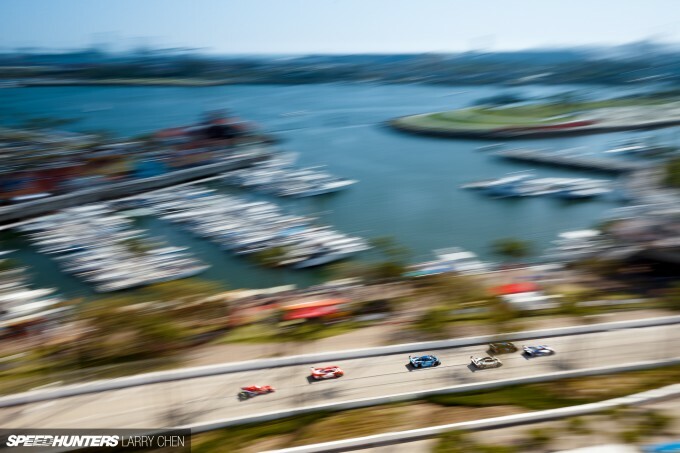 During the start of the IMSA race, the harbor was packed with luxury yachts full of partygoers, which only added to the already-crazy atmosphere. It’s a different feeling when you get to be so close to the race cars. But if you don’t bring ear protection, you are in a world of hurt. 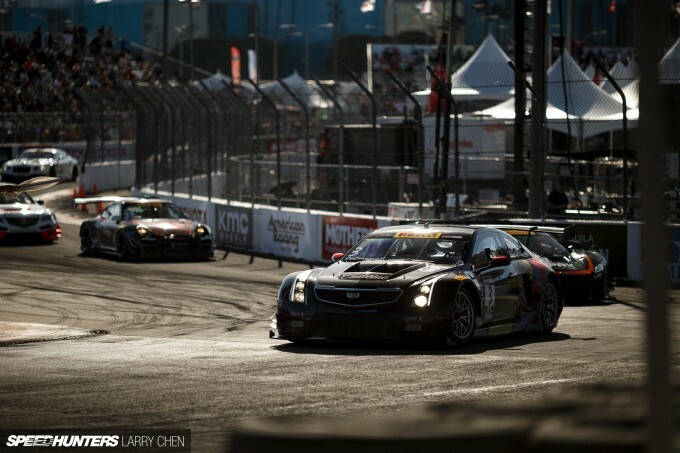 That’s because all of cars running in the Grand Prix’s series are uncorked with no noise restrictions. You feel the exhaust note in your gut. I also love the fact that the corners are not ideal for a race track and the surface is not ideal for traction. There are bumps, dips and many off-camber turns – all of which force the racers to be on their toes. 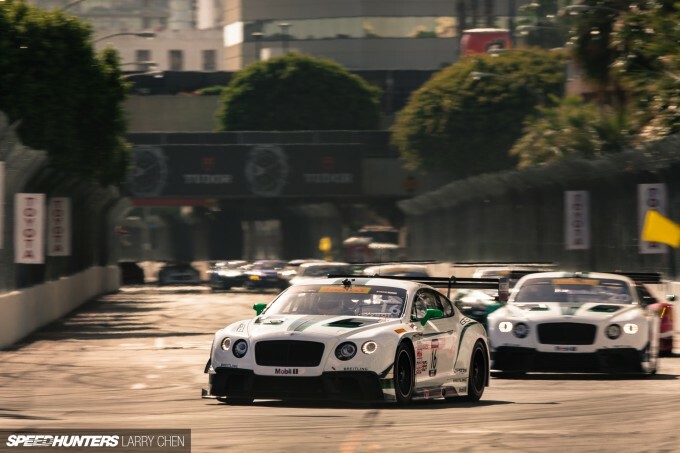 Some race fans will say that there are not many overtaking opportunities on a street course during a race, but to me it only makes it that much cooler when someone pulls off the perfect pass. 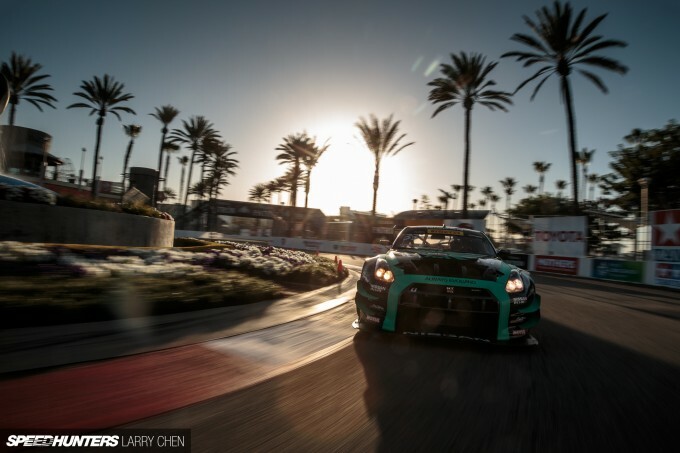 Drifting and street circuits are a match made in heaven, don’t you think? 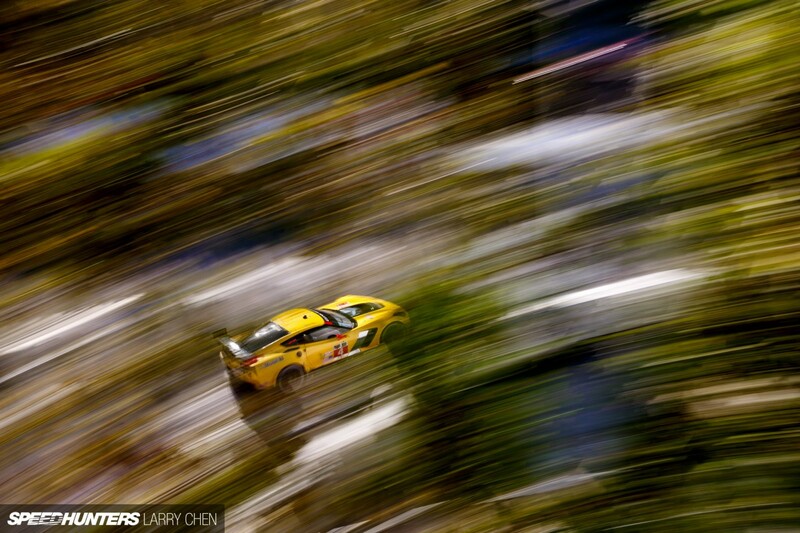 While it’s neat to see GT cars running close to the walls and eventually scraping, it’s not really the point. 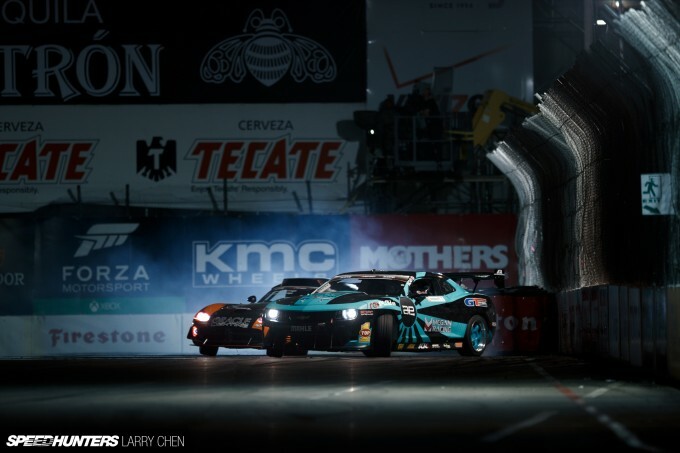 With drift cars it’s all the rage, and the more walls the more interesting it gets. 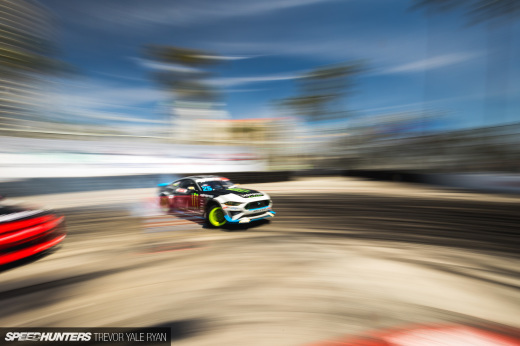 Because of the angle of attack, drift cars can actually scrape walls all day long – the driver just needs nerves of steel to do so. 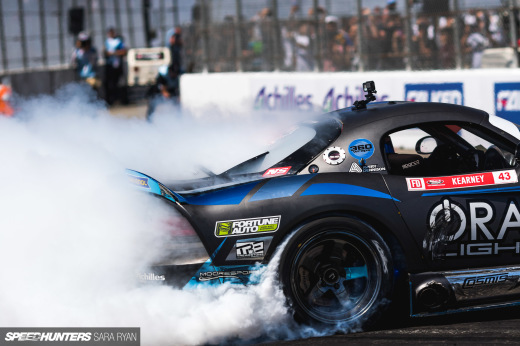 This years KMC Wheels Super Drift Challenge was as exciting as ever, and there were enough spills and thrills to satisfy every drift appetite. 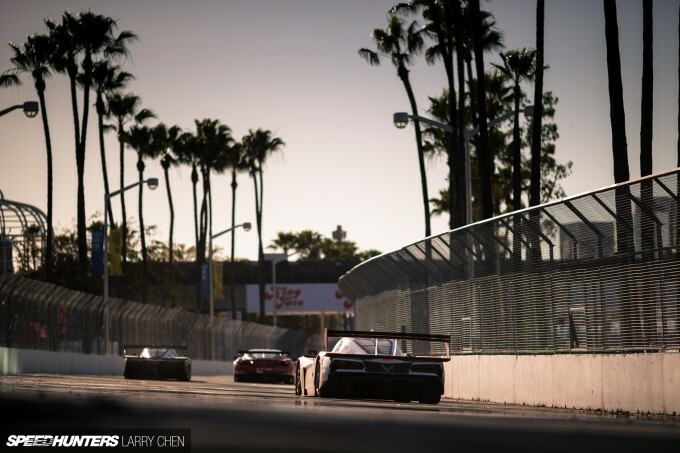 Spectators stayed up late to watch the only motorsport ever allowed to run at night on the streets of Long Beach. GT Radial Always Evolving driver Conrad Grunewald earned his first win since 2010, and it was well deserved too. 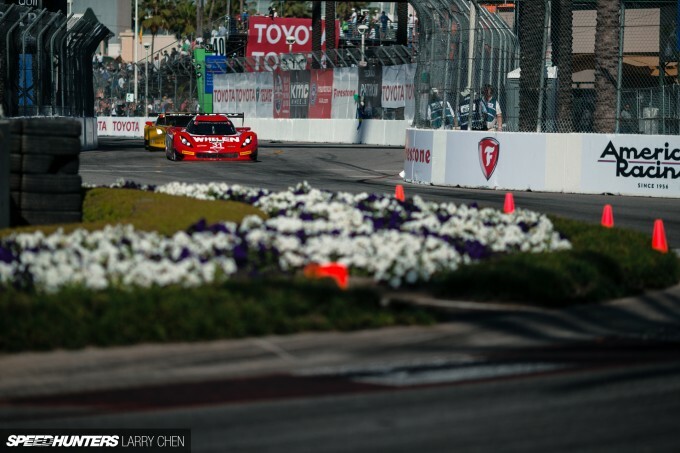 The race was an absolute disaster, not only because there were so many cars battling it out, but also because the drivers weren’t driving cleanly. There is such a big difference between driving aggressively and the whole ‘rubbing is racing’ thing, but using the police-spec PIT maneuver to get around someone is just not the way to do it. 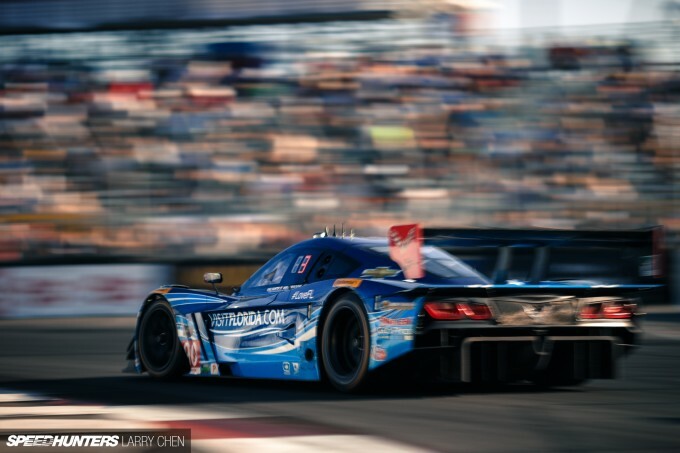 In 50 minutes of racing there were only three hot laps. Although for me, it still did not make it any less exciting to watch. It was just unbelievably crowded around every single corner – a crazy-fast traffic jam waiting to happen. 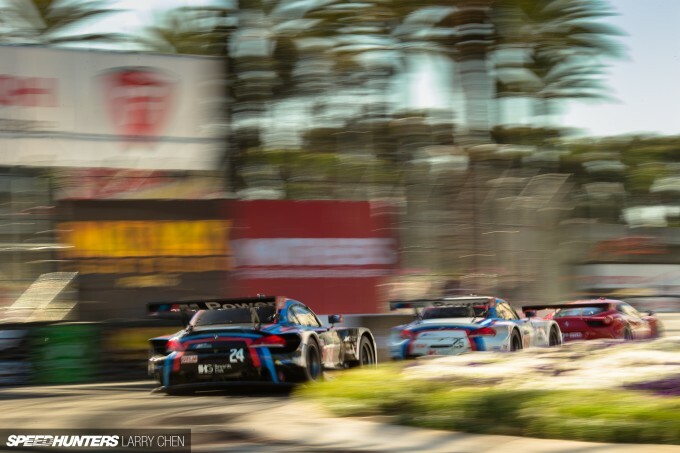 It was a shame that it had to result in so much drama, because I was really looking forward to seeing the field of brand new race cars battle it out. 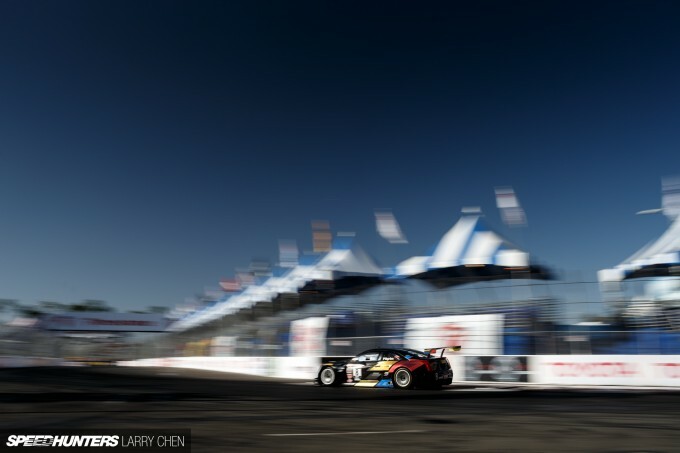 The Long Beach Grand Prix has IndyCars, Prototypes and Formula Drift cars, as well as sportscars, jumping trucks and electric open wheelers. What’s next? Motorcycles? Love the style in these photos! 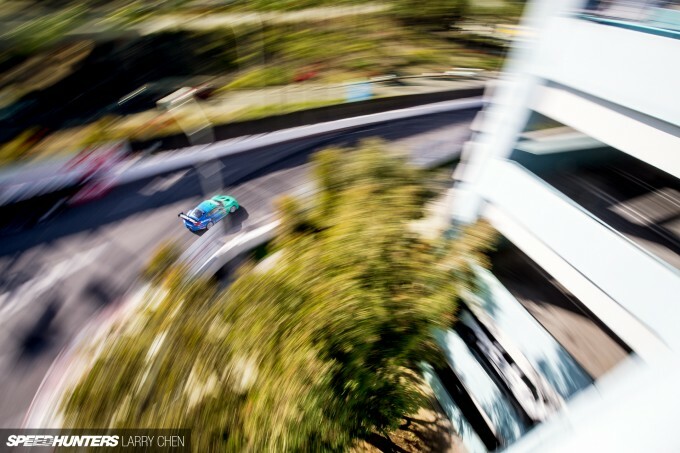 That circular panning shot is incredible! Its gonna be a sad day, Larry. A sad day indeed, when you move on. Your shots are getting so good and unique, I can easily see you getting poached. 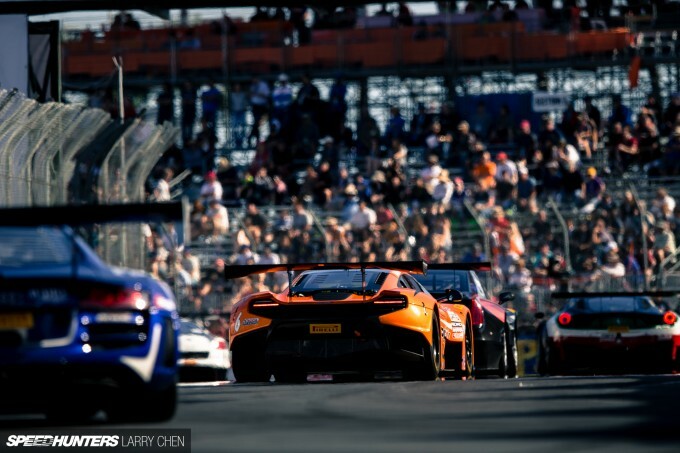 Monaco, Long Beach, Macau. That's the Triple Crown of Street Racing. Take that, blokes who do street racing illegally! 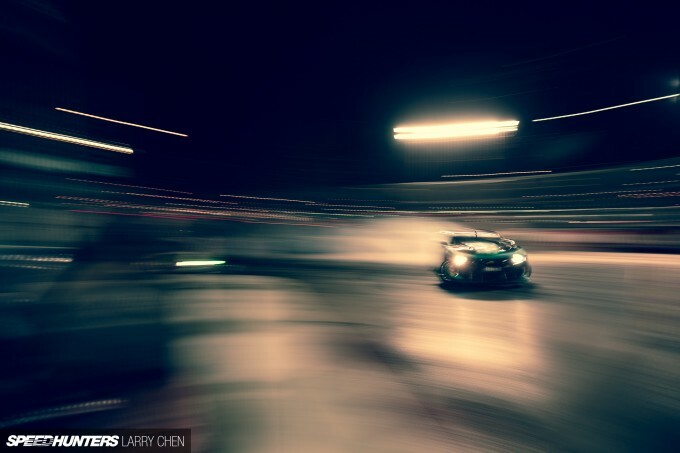 This is streetracing. 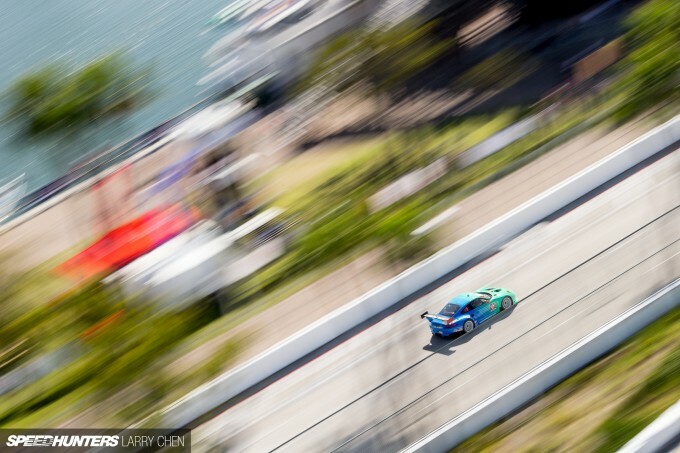 What the kids do in their loud and bright green Civics is a different thing..
Great coverage Larry!! I agree, that PWC event was a bit of a let down. Bloody Ferraris!!! Lol jk jk. 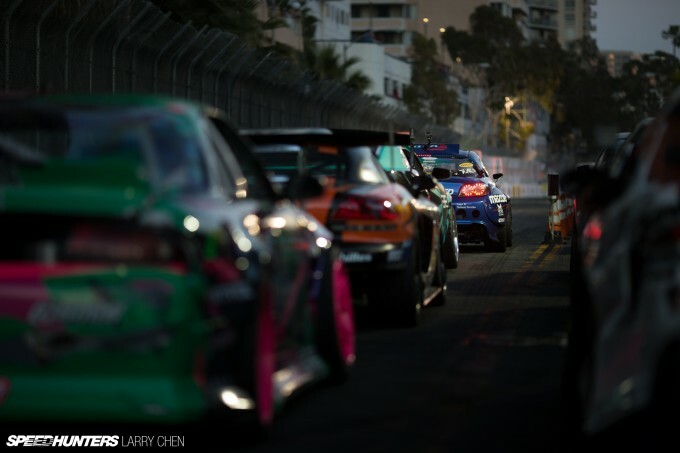 I agree that there is just something about Street Circuits which sets them apart....although, many newer street circuits are shadows of their former selves (see the Morocco street circuit from WTCC). I was watching some old F1 races from the early 1980s....man that run down Shoreline Drive was nutty before all the chicanes. The hill was badass too! 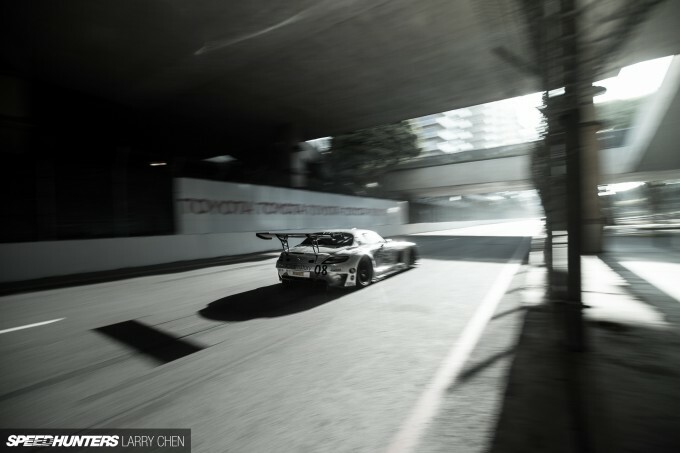 It's cool though how the FD section is still basically the original left, right hand sweeper...with just the hairpin being moved closer (seems like the racing works much better with the hairpin pushed farther back like it used to be). Speaking of epic street circuits, I was watching some WTCC replays, and came across Circuito de Vila Real in Portugal. Here's some onboard footage from a classic sports car race of some sort. 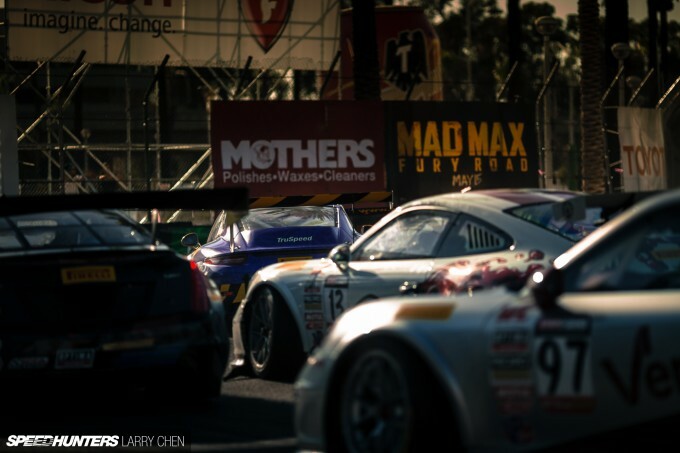 Amazing cars, brilliant circuit. Omg yes! 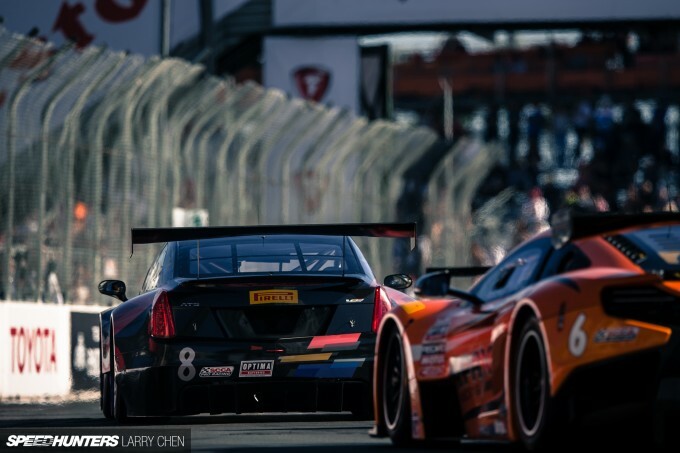 The IMSA race was quite a show in the GTLM class. 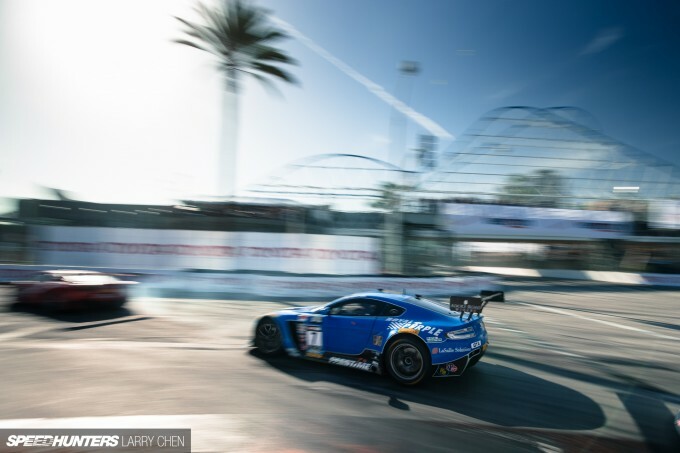 The sound of the #7 blue aston's v12 screaming around the track is one of the most amazing sounds ive from a car. You KNOW when it's coming! Too bad the Speedsource Mazdas didn't didnt do better . That's the best photography I've seen on here in a long, long time. I'd love to know how he does it. everysingle one of these shots is blowing my mind - KUDOS! Make sure you guys check out presentation mode! Twitch_6 Homie, my dad took me to F1 Long Beach in 77(76?) when Super Mario won. 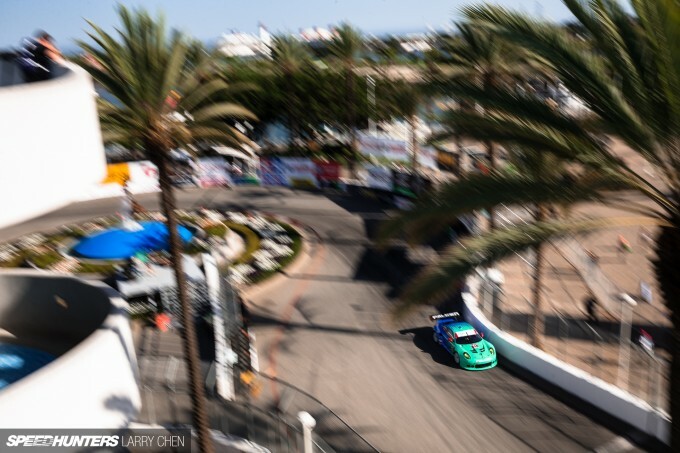 They had the track actually go up the hill to Ocean boulevard before dropping back down to the hairpin area. I go there now and am just dumbfounded that they let those monsters run in the city! Larry Chen worth it for these shots, simply awesome. Keep the inspiration coming! Some of these pictures are wallpaper worthy. Great article. Love these nearly melting pictures, very inspiring Master Chen! Chris 'Haffy' Hafner I'm sure it's in the hair. best photographer in Motorsports fullstop!!! Amazing article. We need more of this and less "stanced" civics. 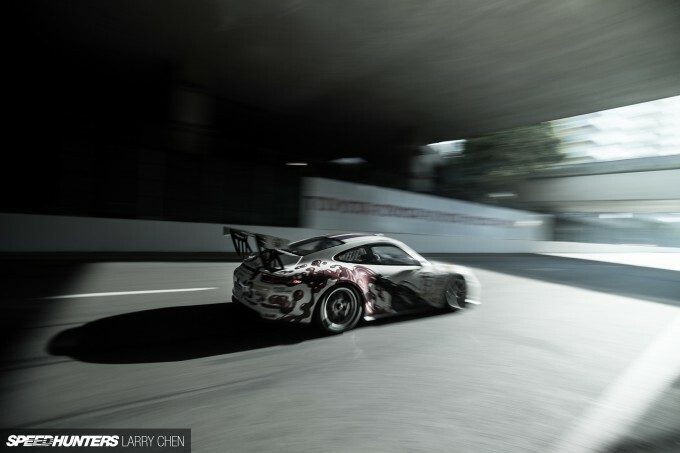 As always, Larry Chen's photography are a true inspiration! Thank you for all of your hard work, Sir! 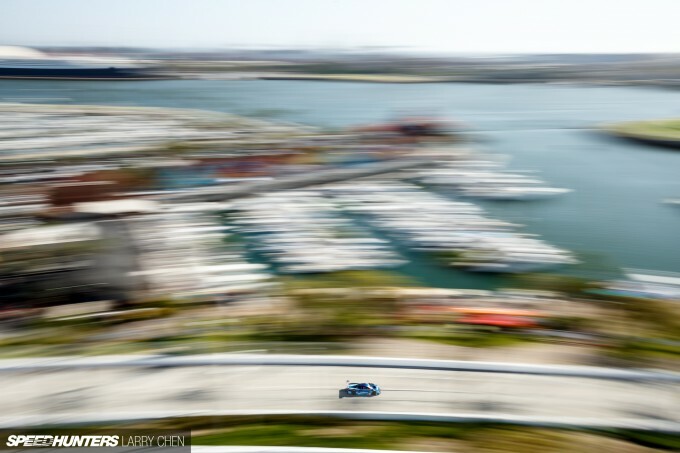 Formula 1 in Long Beach...yes, YES PLEASE!